When it comes to head injuries, where you take them matters. Our team is dedicated to getting your child or teen safely back to activities. If you suspect your child has a concussion, talk to your child's doctor. All head injuries should be taken seriously. In case of an urgent concern or emergency, call 911 or go to the nearest emergency department right away. A concussion is an injury to the brain. It can be caused by a blow or bump to or around the head. This causes the brain to move inside the skull which can change how the brain works or processes information. A concussion usually does not result in loss of consciousness. Only about 10 percent of concussions involve a loss of consciousness. Headache is the most common symptom, but you do not have to have a headache to have a concussion. Since a concussion does not involve a structural injury to the brain, imaging such as a CT scan or MRI will look normal. Healing occurs over time and not right away. It’s estimated that 1.6 to 3.8 million concussions occur every year — many of those go unreported or unnoticed. Boys and girls respond differently to concussions. On average, girls take a few days longer to recover than boys. Younger athletes typically take longer to recover from concussions than older athletes. Of any sport, football carries the highest risk of concussion. Next is soccer and basketball. As lacrosse grows in popularity, it may account for a significant number of concussions as well. Athletes who suffer a concussion have a three to four times higher risk of suffering a second concussion. The second concussion may be caused by milder impact and the symptoms typically last longer than with the first one. We cannot stress enough how important it is that your child wait for full-recovery before getting back in the game. If an athlete suffers a second blow to the head before fully recovering from a concussion, the consequence can be catastrophic. Second Impact Syndrome (SIS) results in a massive rush of blood into the brain causing irreversible brain swelling, seizures, coma or death in one-half of all cases. Over 90 percent of survivors of SIS have permanent brain damage. When an athlete suffers from concussion symptoms for over six weeks, it’s called post-concussive syndrome. It’s difficult to predict who will get post-concussive syndrome, but kids with a previous concussion, ADHD, migraines or any other neurological condition may be at higher risk. Learn more about the symptoms of a concussion. It's important to get your child evaluated if you suspect a concussion. If your child is participating in a sport at the time of injury, take him out of the game or practice. Your child should avoid activities that put him at risk for another head injury soon after the first one. A child should recover and be completely symptom-free at rest and with physical exertion before returning to sports or other activities. Before a youth athlete can return to play, he must be cleared by a healthcare provider trained in the management of concussions. In case of an urgent concern or emergency, call 911 or go to the nearest emergency department right away. 1. Contact your pediatrician or visit a Children's Urgent Care Center or Emergency Department. 2. Get your non-urgent questions answered. If a doctor has diagnosed your child with a concussion and you still have questions about his or her treatment contact our concussion nurse. Call 404-785-KIDS (5437) and ask for the concussion nurse. The concussion nurse is available 8 a.m. to 3 p.m. Monday to Friday. If you call after 3 p.m. or on weekends or holidays, leave a message and the nurse will return your call the next business day. 3. Download our teaching sheet on concussions. Please view below all relevant national concussion guidelines. Find out about Georgia's concussion law. Our Concussion Program combines the expertise of specialists from Children's Physician Group as well as community physicians to help coordinate patient care. Our doctors and surgeons work closely with community providers to help ensure complete, coordinated care is delivered seamlessly. Our program is led by Medical Director Andrew Reisner, MD, and Medical Director of Concussion Research, Thomas G. Burns, PsyD, ABPP, CN. Our Emergency Departments treat more pediatric patients with concussions than any other hospital in the state. 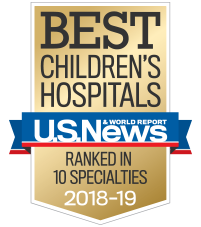 * We have an entire team of pediatric specialists who understand how to care for concussions and can work with your child’s doctor to create a treatment plan just for him. Our concussion resources are endorsed by the Georgia Department of Public Health. Each concussion is unique. Symptoms and recovery time are different for each child or teen. It's important to remember that rest for the brain and body is important when you are recovering from a concussion. Rest, both cognitive (for the brain) and physical (for the body), is the best treatment. Your child’s doctor may keep your child out of sports, school or other activities. Depending on how severe the concussion is, it can take days, weeks or months for your child's brain to totally heal. If you are a medical professional, please visit our physician resources for concussion section, which includes our concussion video series, concussion referral form and concussion toolkit. Limit physical activities like play. Don’t allow your child to return to gym class or sports until your doctor says it’s OK.
Don’t allow too many visitors. Keep visits short. Keep surroundings calm and quiet. Be sure to keep your child’s doctor appointments, even if he or she is feeling better. Be patient. A concussion may temporarily make it hard for your child to focus, remember things or complete tasks. Limit thinking activities to easy books and simple arts and crafts projects. Limit screen activities (TV, video games, computers and cell phones) to no more than two hours a day for no longer than 30 minutes at a time. Have your child stop and rest any time symptoms get worse. Serious problems after a concussion are rare, but can occur. That’s why a medical doctor should always be involved in a child’s care after a concussion. After a concussion, your child should stay home and rest until the doctor tells you he or she can return to school. Most children will need to miss one to two days of school. Talk to the school nurse before your child returns. The nurse can help support your child’s slow return back to school work. Your child must stop playing all sports and rest until he has no concussion symptoms. He should return to normal school work and studies before returning to game play. Wait until your doctor says it’s OK for your child to resume sports or PE. When this occurs, your child should take it slow and stop if any symptoms return. If your child has a second concussion before recovering from the first, there can be serious consequences. Concussions can result in vestibular disorders, which affect balance and movement. We provide rehabilitation tailored to children and teens with these disorders. Concussions are not always avoidable, but here are some tips that can help keep your child safe. Prevention tips sourced using cdc.gov and safekids.org. Make sure your child rides in an approved child safety seat or booster seat in the car. Learn more about Georgia's booster seat law. Don't allow other children to carry your baby. Don’t leave your baby on a bed or couch. Don't use baby walkers that have wheels since these are prone to tipping. Always use safety straps on changing tables and in grocery carts and high chairs. Secure large pieces of furniture such as bookshelves and TVs to the floor or wall to prevent them from tipping over on your child. Keep windows and screens locked, or install safety guards to keep your child from falling out of them. Riding a bike, motorcycle, snowmobile, scooter or all-terrain vehicle. Playing a contact sport, such as football, ice hockey or boxing. Using in-line skates or riding a skateboard. Wear the right protective equipment for the activity such as helmets, padding, shin guards, and eye and mouth guards. Protective equipment should fit properly, be well maintained and worn consistently and correctly. Use good sportsmanship at all times. Install window guards to keep young children from falling out of open windows. Use safety gates at the top and bottom of stairs when young children are around. Make sure the surface on your child's playground is made of shock-absorbing material, such as hardwood mulch or sand. Phone: 404-785-KIDS (5437) and ask for the concussion nurse.